MangledVerb is a unique effect combining reverb and distortion. 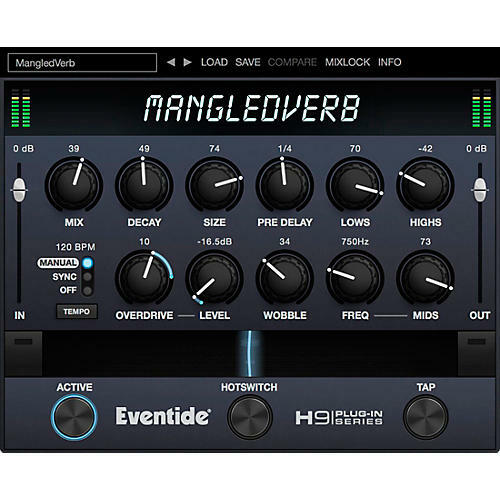 Ported directly from the award-winning H9 Harmonizer, MangledVerb is capable of creating lush reverbs, ripping distortion leads and sound-sculpting musical chaos. Guitarists have used it for years to create signature sounds and now you can have it in your favorite DAW. MangledVerb starts with a variable pre-delay which feeds a stereo reverb into a complex distortion effect. Sonically it can range from the light friction of a bow scraping a cello string to the mayhem of a caged beast being poked with a red hot flounder.